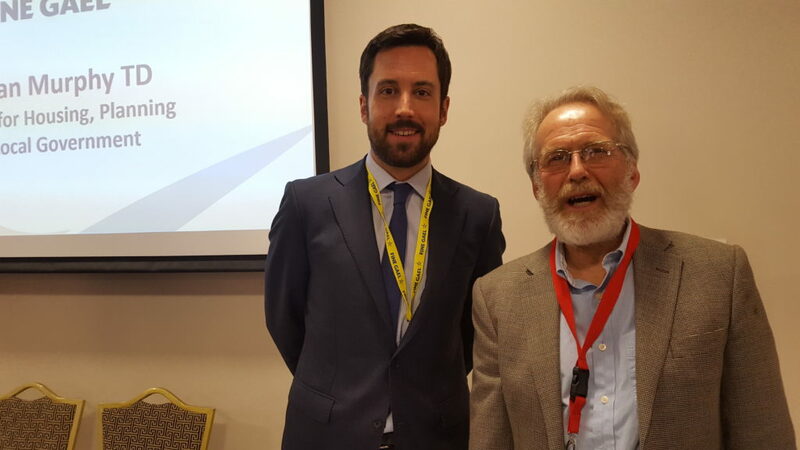 Photo shows Cllr Derek Mitchell asking Minister for Environment Eoghan Murphy for funds. The Delgany to Blacklion Road upgrade is badly needed, with four large schools on it, and has been planned for 30 years. I have been frustrated trying to get it moving for a decade and brought this up with the Minister at the recent Fine Gael Ard Feis.